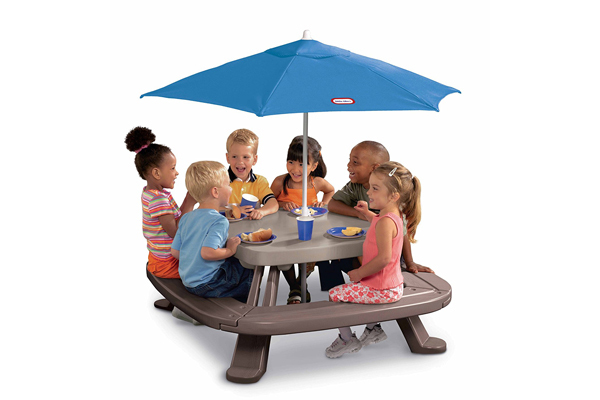 This Endless Adventures Fold’n Store Picnic Table with Market Umbrella is the right size for kids. 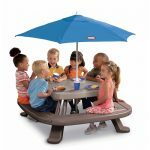 Seating on four sides makes this picnic table great for snacks, crafts and games. Kids can develop social skills while they play.